Love the oil slick look. Me too, it is super dynamic and very shifty. 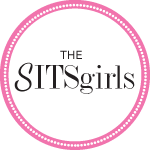 I had a great SITS day indeed, thanks to you and all the lovely girls around! Would you by any chance like to follow each other on Bloglovin? Have you done a vlog showing how you do the stamping? You do an awesome job of it! I got hooked on The Pro plate and tried to get it on Amazon but the shipping is expensive. Do you know where else to get this at a store so there isn’t any shipping? Thanks! I have not done a vlog, I consider myself a newbie in stamping and still learning… I follow the basic stamping principles and post only the designs which look rather ok in my Stamping ABC blog column.